A study meta-analysis indicated that acupuncture can be an effective means of managing CRF. 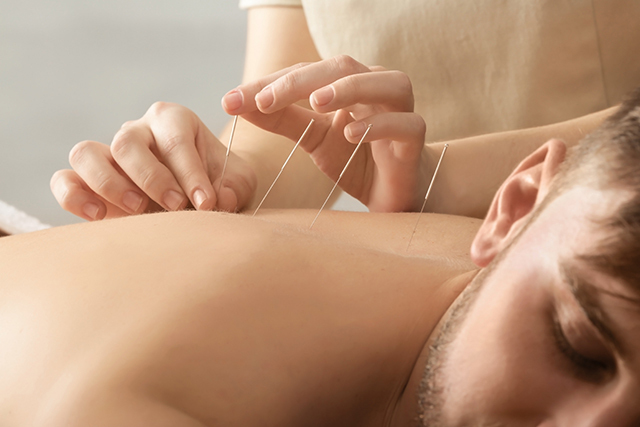 Acupuncture may be an effective means of managing cancer-related fatigue (CRF) among patients with cancer, according to a study published in Supportive Care in Cancer. CRF is a commonly experienced adverse event associated with cancer, with more than 50% of patients reporting CRF as they progress through the disease process. Patients and caregivers alike report a negative impact on quality of life (QoL), and more therapeutic alternatives are needed in CRF management. For this retrospective study, researchers evaluated the results of 10 clinical studies that enrolled a total of 1327 patients with cancer; 733 received acupuncture, and 594 were assigned to controls, including sham acupuncture, typical care, or American ginseng. Meta-analysis of the studies showed that acupuncture had a beneficial effect, leading to a standardized mean difference (SMD) of –1.26 (95% CI, –1.80 to 0.71; P <.01) in CRF change scores among patients with cancer. Patients who were off-treatment had a SMD of –1.38 (95% CI, –2.16 to –0.61; P <.01) and patients who were receiving anticancer therapy (hormonal therapy, chemotherapy) had a SMD of –1.16 (95% CI, –1.91 to –0.42; P <.01). Results further demonstrated a significant positive effect among patients with breast cancer (SMD, –1.20; 95% CI, –1.82 to –0.72; P <.01) and mixed tumor types (SMD, –1.80; 95% CI, –3.29 to –.032; P =.02) after receiving acupuncture. Patients who received acupuncture in 20 to 30 minute session 3 times a week for 2 or 3 weeks, twice weekly for 2 weeks and once a week for 6 weeks, and once a week for 6 weeks experienced substantial benefit. Few manageable adverse events were reported, including spot bleeding and bruising.